CHICAGO, IL -- Authorities say a collision between a Chicago Transit Authority bus and several other vehicles has left at least nine people injured, two of them critically. The accident occurred around 6 p.m. Tuesday in the city's downtown business district. 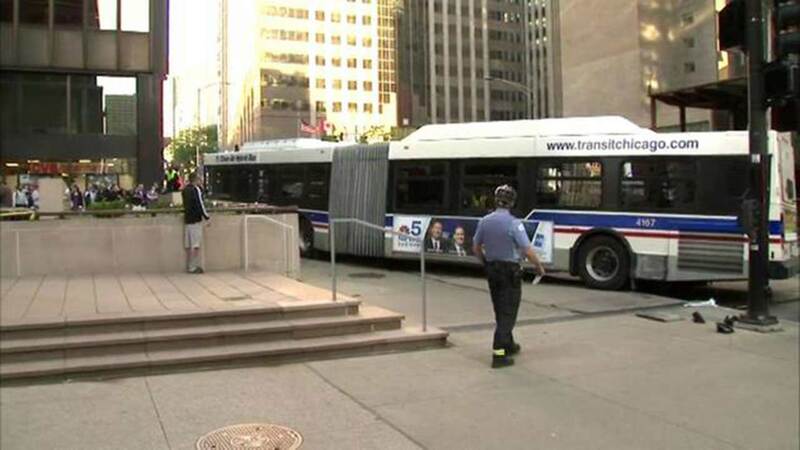 Authorities say the accordion-style bus was turning onto Michigan Avenue when it collided with several other vehicles. The bus went onto the sidewalk, and at one point a pedestrian was pinned underneath. Chicago Fire Department spokesman Larry Langford says nine people were transported from the scene. He says one of them was "extremely" critically injured.